We went to celebrate the birthdays of our dear friends, Katie & Kara, in NOLA over a very long weekend. We had too much fun, ate too much food & drank almost too much booze. We stayed in a (haunted) Garden District mansion with 11 other friends & spent our days exploring the city & enjoying each others company. Reality hit hard when we got back home & now it's back to the daily grind & starting to detox if you're named Luke & Holly. We don't really vacation when we vacation - we kind of go all out. It was definitely worth it though! 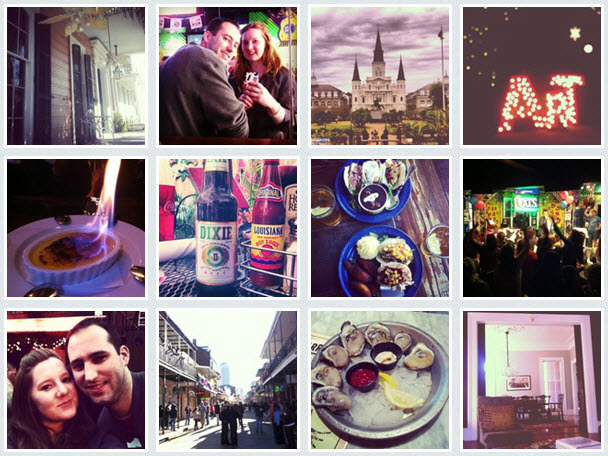 I can't wait to share some stories, lots of photos & our recommendations if you ever visit NOLA. Check back soon :) For now, here are some Instagram photos if you haven't seen them already (username: littlemissholls).